If you’re in need of an orthodontist in the Yorktown, NY area, look no further than Glaser Orthodontics. Dr. Glaser and his team are dedicated to providing the most comfortable and enjoyable experience with orthodontic treatment. 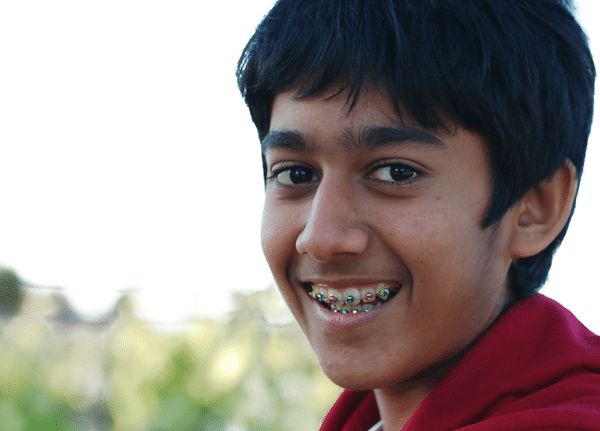 What Problems Can an Orthodontist Fix? Underbite: An underbite is characterized by the lower jaw extending out, causing the lower front teeth to sit in front of the upper front teeth. Spacing: Spacing problems may be caused by missing or un-erupted teeth, arch length discrepancies, or they may only be a cosmetic or aesthetic issue. Upper Front Teeth Protrusion: The appearance and function of your teeth are impacted by this type of bite. It is characterized by the upper teeth extending too far forward or the lower teeth not extending far enough forward. Crowding: Crowding occurs when teeth have insufficient room to erupt. Crowding can often be corrected with orthodontia, and many times, tooth removal can be avoided. Crossbite: This refers to a width discrepancy between the upper and lower teeth. With a crossbite, the upper side teeth sit inside the lower teeth, which may cause a shift of the lower jaw to one side. Overbite: The upper front teeth overlap the lower teeth excessively in the vertical dimension. In severe cases, the lower front teeth may bite into the roof of the mouth. Openbite: Proper chewing is impacted by this type of bite, in which the upper and lower front teeth do not overlap. Openbite may cause a number of unwanted habits, such as tongue thrusting. It is also caused by incorrect skeletal growth. Dental Midlines not Matched: This type of problem is caused when the bite in the back differs from the left to the right, which may negatively impact jaw and proper dental function. If you think that you might be experiencing any of the above scenarios, or it’s simply been a while since you’ve seen an orthodontist, Glaser Orthodontics is here to help. To find out more about what an orthodontist in Yorktown, NY can do for you, or to schedule your initial consultation, don’t hesitate to contact Glaser Orthodontics today!